Comments: Results from the fusion of fine-grained Coconino Sandstone. 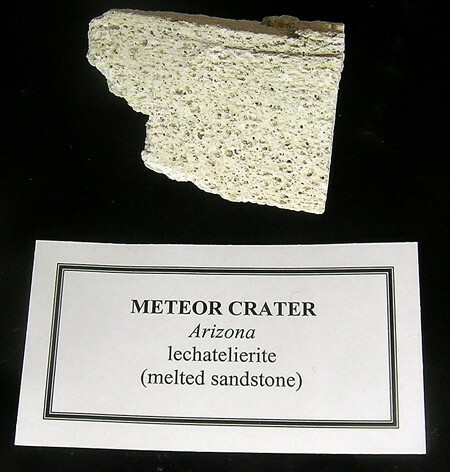 References: Anthony, J.W., et al (1995), Mineralogy of Arizona, 3rd.ed. : 274; Rogers, A.F. (1930), A unique occurrence of lechatelierite or silica glass, Amer. Jour. Sci. : 19: 195-202; Kerr, 1977. Optical Mineralogy, p.283.